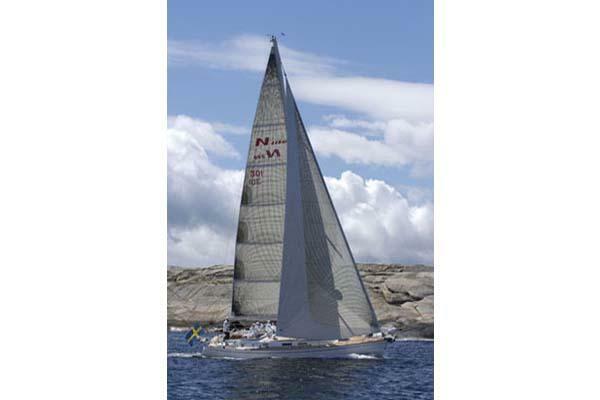 The Najad 490 was the first modern 50 footer from Najad, designed by Jüdel and Vrolijk. Amazingly fast and easy to handle it had a commercial success that overwhelmed the yard itself and lasted even when its successor and elongated version, the 511 had years on the market. It is interesting to remember that the 511 was elected Boat of the Year in 2003. 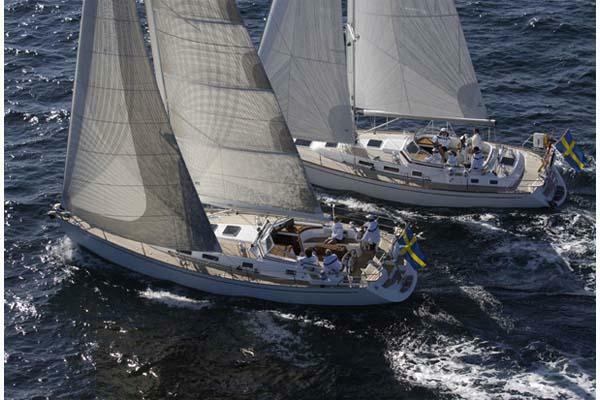 At the origin of this success there is a perfect combination between the superb Najad craftmanship, superior even to its national competition and the impressive performances of its hull lines from Jüdel and Vrolijk who were then reaching the peak of their fame. 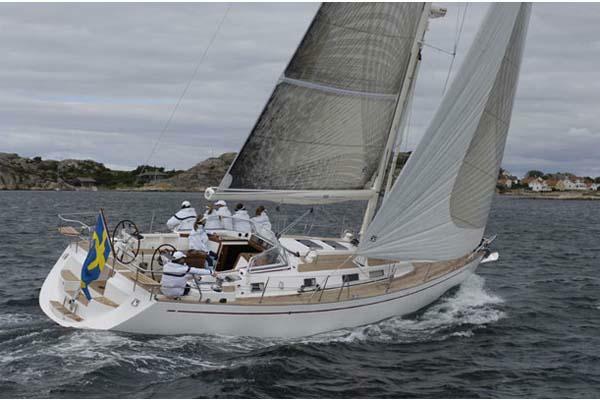 On this unit the powerful sailing plan is gently driven by a strong deck hard-ware, based on electric rollers and winches. 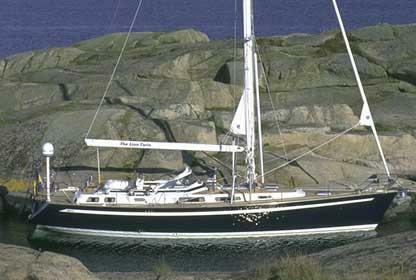 This boat was built for the American market and has been changed to european systems by her present owner. She has many recent options. 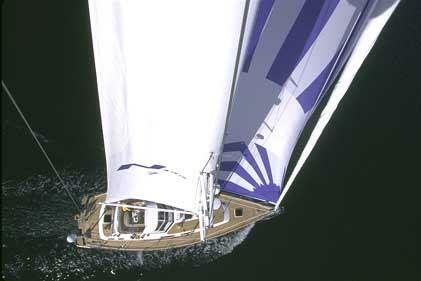 All systems, the hull structure, sail and teak deck are in good shape and she is quite ready for blue water sailing. You can write us in Spanish, English, French or Italian. The Najad 440AC, aft cockpit version of the succesful 440CC model, contributed to the sales expansion of the range, thanks to its open cockpit uncluttered by manoeuvres and to the availability of a third cabin, no possible aboard its sister. Its hull, designed by Jüdel & Vrolijk with a medium displacement, gives to this vessel an excellent performance in any weather and load condition. It very sturdy construction, typical of this Yard, is matched by a very modern interior design, whose style is not outdated and by the proverbial Najad craftmanship. This unit has been very well kept by her owner, to the point that she does not shows her ten years of age. She has every kind of options, from those simply aesthetical, as the port-holes padding, to those useful and even necessary as the electric winches (also up-graded), a rolling stay-sail, the bow-thruster, the generator, the air conditioning and a full electronics system. 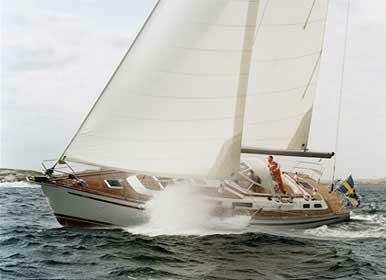 Carbon passarelle, Dvd, Bimini with connection to the spray-hood.